Diving Tenerife ~ Los Abrigos ~ Near Golf Del Sur. Tenerife Scuba diving. Find the treasures of the underwater world. Amarilla Divers Scuba Diving center, a multi AWARD winning Dive Resort, is situated close to all the major tourist areas in the south of Tenerife and offers FREE collection from Golf Del Sur, Costa Del Silencio, Los Cristianos, Las Americas & Adeje. 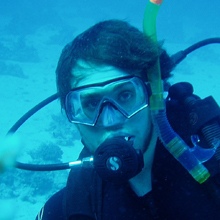 We offer PADI courses ranging from PADI Discover Scuba Diving to Professional Levels. The most popular course is the PADI Open Water diver course, which is recognised world wide and will allow you to dive to 18 Meters after certification. Amarilla Divers invites you to come and dive the underwater world and see a different side to Tenerife. We welcome you to discover a new world, full of new and wonderful things. 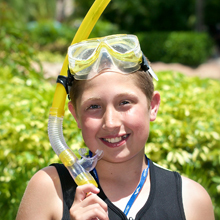 With over 50 scuba dive sites for our divers, we always have something fresh for you to see. Amarilla Divers offers scuba diving in Tenerife with our very highly qualified PADI dive team. 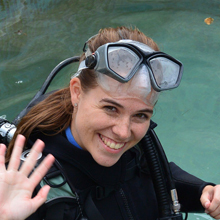 We have our own PADI Master Instructor and PADI MSDT Instructor on hand to teach courses and give students individual attention when required. Take your diver education to the next level with PADI Advanced Open Water, PADI Rescue & PADI Specialty courses. Learn how to become a PADI Dive Professional. Assist PADI instructors and become a PADI Divemaster. Very friendly & experienced dive centre.Just got back from diving with Amarilla Divers. Neil is the best dive guide I have had and it was a pleasure to dive with him again. Very experienced dive professional. The shop is now based in Los Abrigos. Great diving experience Had a fantastic dive. 5 adults one teenager. Did 5 dives over 3 days. I was a newish diver and nervous but soon but at ease. Saw some amazing fish. Neil was helpful and so was Robin these were the guides that took us out. Happy to tail the dive to what we wanted. Great team and would come back here again!!! Thanks Neil and Robin! Fantastic experience!!! Thanks Got a 2 day pass from wife and kids on a 5 day break in Tenerife. Contacted Amerilla and got a response from Mary that day. Pick up from Santa Barbara and diving arranged easy peasy. Many thanks to Neil for great diving at Black Cove and Abades. Didn't get to see a seahorse but there was plenty of other creatures. See you next time I'm in Tenerife.